Aditya Music, the leading audio company, has bagged the audio rights of the eagerly awaited mass entertainer ‘Babu Bangaram’. The movie’s single ‘Mallela Vaana’ has been released by the company on YouTube yesterday and the response has been very strong. Aditya Music employees say that the video has already amassed more than 1 lakh views in less than 24 hours. The company is very strong when it comes to utilizing the YouTube platform for audio jukeboxes etc and the same is continuing in the case of Babu Bangaram. The movie is expected to hit the screens soon. 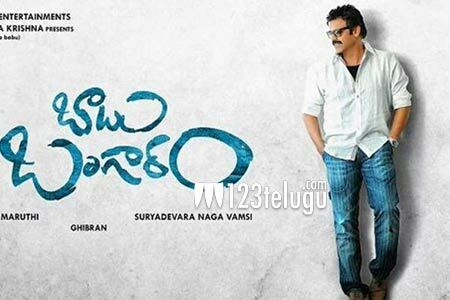 Victory Venkatesh and Nayanathara are the lead actors in the movie and Maruthi has handled the direction. Ghibran has composed the music.